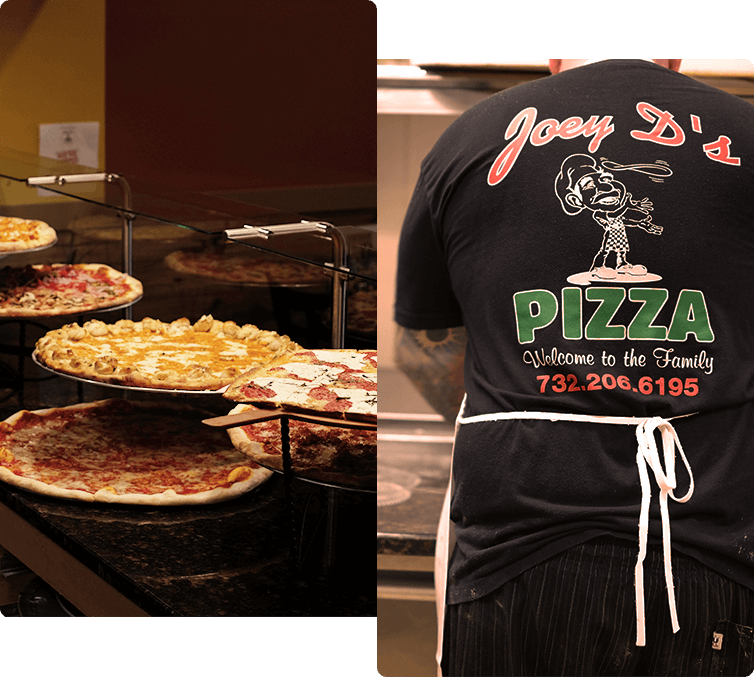 Joey D’s Pizzeria & Restaurant has 2 locations, Toms River, NJ and Brick, NJ. Joey D’s offers a full menu in a modern, yet casual, atmosphere. We always use fresh dough, homemade sauce, and Grande mozzarella cheese. While we specialize in gourmet-style pizzas, we also have a wide variety of other meal choices. From wraps, paninis, salads, classic Italian specialty entrees, pastas, subs, & appetizers. Our fresh mozzarella is made in-house daily and our focaccia bread, used in our focaccia sandwiches and panini, is homemade from our own recipe. Stop in and be sure to check out our counter which is always full of different specialty slices, garlic knots, and our homemade rice balls. We also have desserts, specifically our cannoli filled with delicious homemade cannoli cream, and pairs perfectly with a freshly made demitasse of Italian espresso. Whether you are stopping in for a quick slice after the movies, a fresh wrap for lunch, or joining us for a wonderful dinner with family and friends, we can promise we will do the best we can to provide a warm and comfortable dining experience. 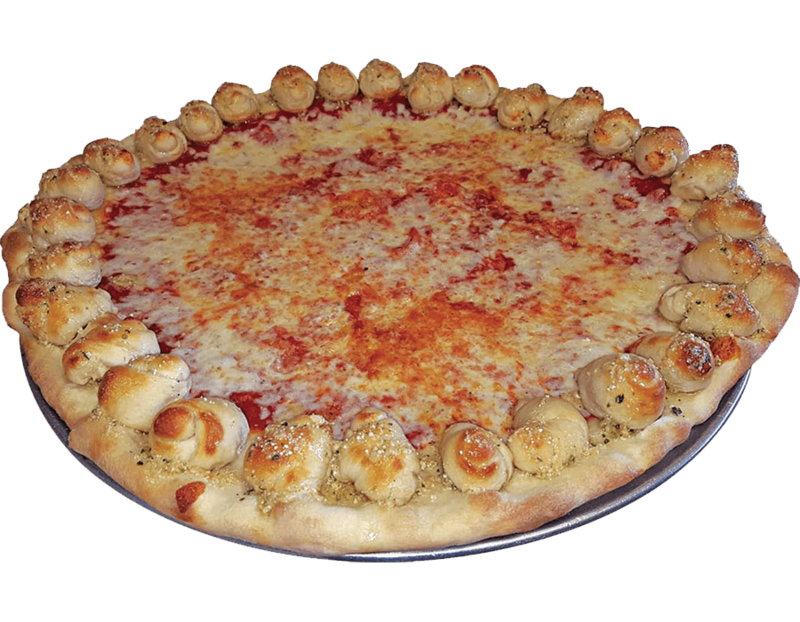 Often imitated, never duplicated, add a garlic knot crust to any of your favorite Joey D's Pies! Homemade sauce and all other ingredients are fresh in our pizzas and meals. We only use real Grandé or housemade mozzerella cheese. We believe it’s the only way! The best of both worlds, a Joey D’s pie with crunchy garlic knots as the crust. You gotta try this! The finishing touch, where all the magic happens, our perfectly heated brick ovens. The perfect pie, every time! Order on the SLICE App! Have the SLICE App? 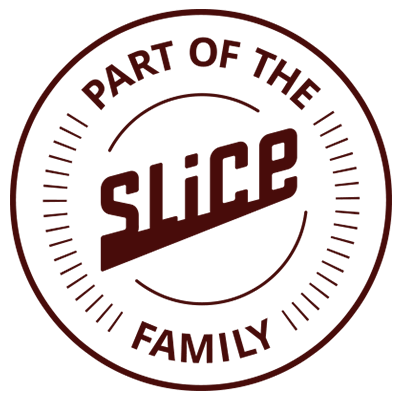 Both of Joey D’s locations are proud to be a part of the SLICE Family, getting our great pizza has never been easier! Keep up with Joey D's on social media to see special food items and coupons! Copyright © 2018 Joey D's Pizza, All Rights Reserved.